Teacher’s Guides | it's yaytime! 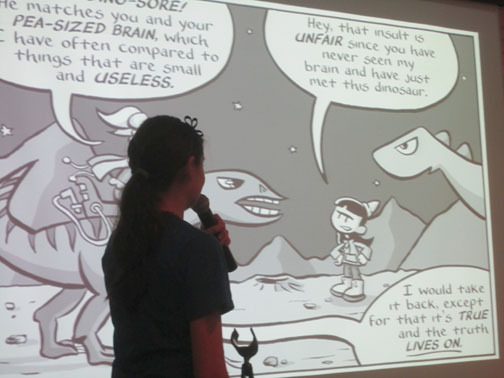 Free downloadable stuff for the classroom and beyond! 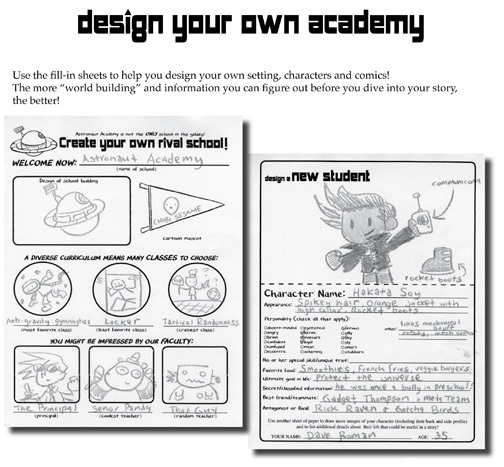 Includes worksheets to create original characters, unique settings and a short comic. Using the outer space school of Astronaut Academy as a jumping off point, kids design their own school and the students who attend it. Whether it’s underground, in the clouds, underwater, another dimension, or simply on Earth, it’s all up to their imaginations! The activity kit encourages kids to think about relationships between main characters and their antagonists as the building blocks for their own stories. 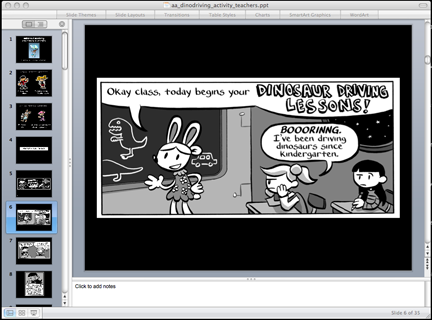 The pack also includes some cartooning tips and a fill-in 1 page comic. A chapter of Astronaut Academy organized in Powerpoint so you can project one panel at a time for a visual read-along. NOTE: Powerpoint file includes bonus sound clips that may not work on all computers. Check out my guide to performing reader’s theater’s TIPS PAGE for more information videos, & photos!